There are so many articles on the internet about the transition from one to two children and trust me you will get so much advice from all over ( some welcome and some not..) Pretty much right after finding out I was pregnant with Leah , I started reading ALL the articles I could find on how to make this adjustment as easy as possible on all of us. Everyone that personally knows me knows that I’m a planner and let me tell you…you can’t plan this! There are however certain things you can do to make it easier on everyone, especially your first born. Firstly… stop feeling guilty! I remember doing that pregnancy test after work and when I saw that second line I was over the moon but later that night I started feeling SO guilty . Declan was no longer an only child and he would have to share his Mommy and Daddy for the rest of his life! I went through all the emotions and about a million questions raced through my mind, the most prominent one, “Will I love this baby as much as I love my first?” The answer is yes, but you will love them both differently and for different reasons. I love Declan because he made me a mother but Leah completed our family. They are both unique so my love for them is also unique. Also in understanding that your first born has been in your life longer and you have had longer to love them, you take some of that pressure away that makes you feel as though you have to love your second baby just as much as your first right form start. I initially bonded with Declan much quicker than I did with Leah , I think this has a lot to do with the fact that I was in so much pain after my second cesarean section, but as soon as my pain levels were under control and Leah started nursing that flood of love came and quite literally made my heart double in size to accommodate all that love. So yes you will them both equally but differently. Prepare your firstborn. 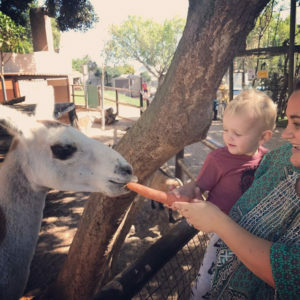 So Declan was 22 months old when Leah was born , which is still a baby in my eyes but we did a few things while I was pregnant with Leah to start preparing him for what was about to happen. 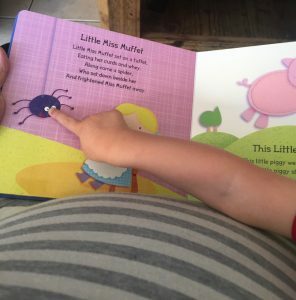 We spoke to him every day about the new baby in my belly and that he was now being promoted to big brother .We read books to him and to the baby in mommies tummy and we showed him lots of pictures from when he was a tiny baby. We included him in all the preparations with getting her room ready. I mean he really didn’t “help” a lot but he loved being part of putting everything together. Another great tip make sure that you have a good routine in place , because it will save your sanity! We have always been quite lucky with Declan in the sense that he is good sleeper but it’s very important to have that routine very set. The last thing you would want is to have to deal with an over tired toddler at night when you are still getting used to your new born. I can recommend reading sleep sense by Meg Faure, it’s a wonderful book that explains why routine is so important. Give a little extra love and cuddles. As soon as that tiny new born is placed in your arms you will immediately realize just how big your toddler really is, so take all the time you possibly can to soak up all of their littleness. In the last few weeks before baby is born, be sure to spend some extra time loving and snuggling your first born. Their lives are about to change forever so a little extra love can’t hurt! This will also beneficial for you as the parent to have a last few adventures and fun days as a family of three. We planned some fun activities with Declan and made sure to document those days. The Sunday before Leah was born we spent the day at a petting zoo and play park and we played and laughed so much! Write a letter to your firstborn. Before baby no 2 arrives be sure to take some quite time and write a letter to your firstborn telling them just how much you love and adore them and that those feelings will never change. Tell them what a great big brother or sister they will be and that the new baby is so lucky to have them. Then wipe away your tears and read them the letter. This letter is just as much for you as it is for them. I will share the one I wrote to Declan. You will always be my baby. It feels like yesterday that Daddy placed you in my arms and you immediately stopped crying. God blessed us in so many ways with you. My son, my absolute everything.Tomorrow our lives change, you become a big brother! Mommy wants you to know that nothing will ever change my love for you, it’s never ending! You opened my hart to a love that only a mother knows. You will be the best big brother in the world. Yow will cover her in hugs and kisses like only you can. You will protect her, because she is your little sister and she needs you. She is so lucky to have you. So tomorrow you won’t be my only child anymore, but you will always be my only son. My first child, the one that made me a mother. I love you very much Declan, more than what is possible to explain. Accept the new normal. The first few months will be hard and your lives as you had before is over. (That sounds scary right!) Life is about finding a balance that works for your family. You will need to find your new normal and also yourself as a parent of two young children. This will take time and it’s important not to be too hard on yourself. There will be times where things will be chaotic and where both children will cry at the same time and yes your house will probably never be clean again but I promise you it is so worth it, and I promise you there is nothing quite like the feeling of seeing your baby love your baby. My top 10 must have baby items for new Mommies.